A beautifully appointed two bedroom ground floor apartment with direct access to a private terrace and manicured landscaped gardens. 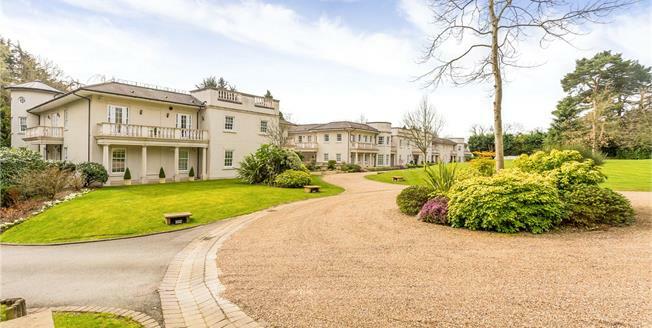 This superbly appointed apartment is situated within arguably the most exclusive development that the area provides and is set back from the road along a dramatic driveway, behind secure electric gates located off Old Redding. Built approximately 15 years ago by Banner Homes and set in superbly maintained grounds in the region of 5 acres, within a green belt location within close proximity to viewpoint on Old Redding. This well proportioned apartment offers particularly spacious accommodation throughout, benefitting from a centrally located reception hall which provides independent access to all living areas including the superb hand built Mark Wilkinson kitchen breakfast room, with separate utility room and the stunning main reception room that overlooks and has direct access to the private rear patio area and onto the landscaped gardens. The reception room also provides access via pocket doors to a well proportioned dining room which leads on to a separate private balcony and also backs on to the reception hall. The apartment further benefits from a magnificent principal bedroom suite comprising a substantial double bedroom, dressing areas, en suite bathroom, a second bedroom suite comprising a double bedroom and en suite bathroom. The apartment comprises just in excess of 2,146 sq ft/199.57 sq m of accommodation and further benefits include the residents all weather tennis courts, two secure underground parking spaces, concierge service, store room and guest parking. The Portman Hall development is equidistant to both Stanmore and Harrow Weald and therefore benefits from superb transport links and access to various retail and shopping facilities that the location provides.